We’re all used to travel to sandy or rocky beaches that are exotic and exclusive on their own, right? 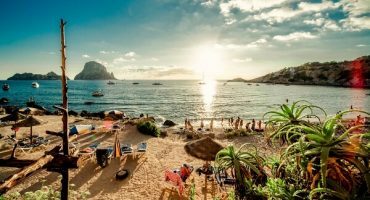 The best beaches in Menorca are a good example for this matter. 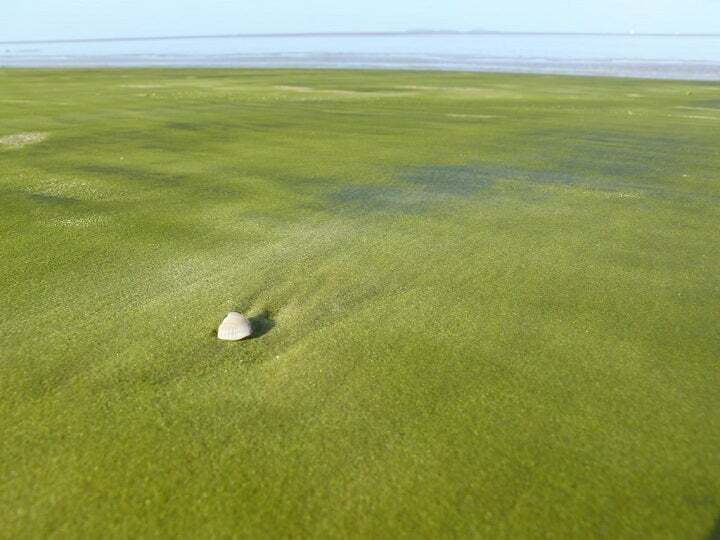 Can you imagine a beach beach with green sand? Or with glowing blue waves? Join us in the quest to find the some of the most uncommon and incredible beaches in the world! This beach was actually a dump site from 1949 to 1967 and that explains its name and all the multicoloured glass that can be found there. 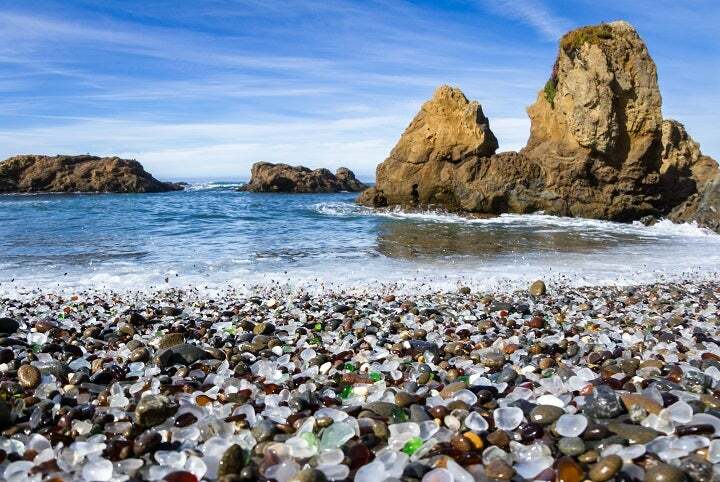 It’s located close to Fort Bragg in California and thanks to mother nature and the constant waves, most of the glass is slowly disappearing! 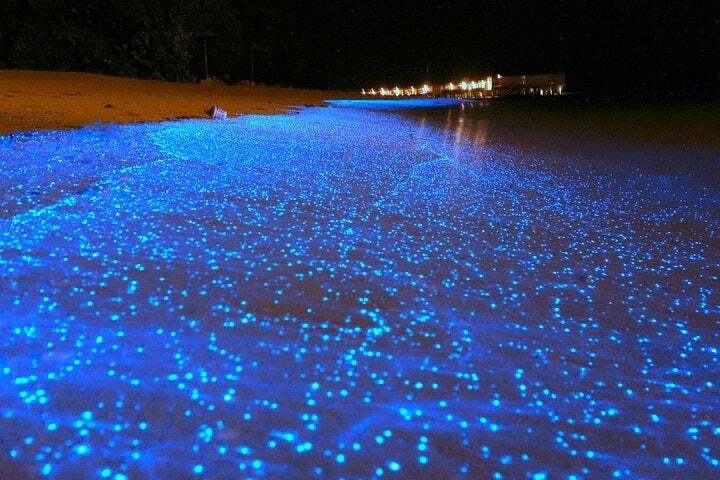 The sand of this beach in the Maldives lights up at night with a glowing blue colour thanks to a chemical reaction caused by phytoplankton, a type of algae. Forget about sunbathing and save the early hours of the night to enjoy this rare and one-of-a-kind show. 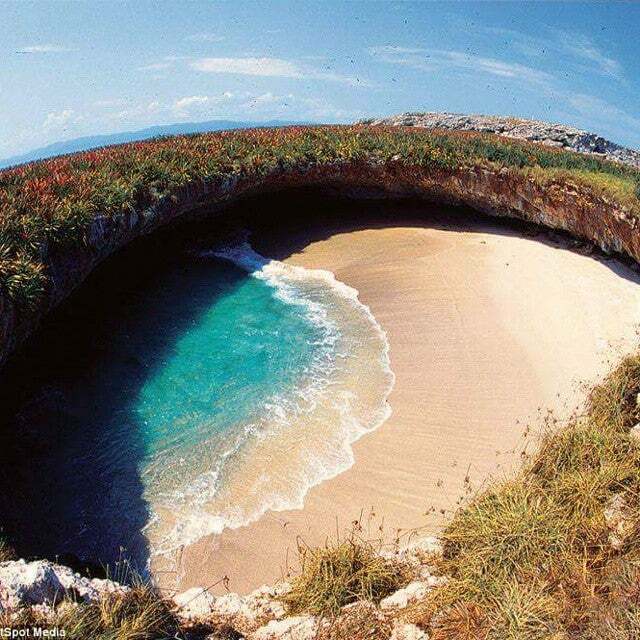 This beach is “hidden” in front of Puerto Vallarta where the Pacific ocean bathes the coast of Mexico. It used to be a volcanic crater but right now it’s a piece of paradise for the lucky ones that can get there. It’s also known as “Playa del Amor” in spanish, or “Love Beach” in english. 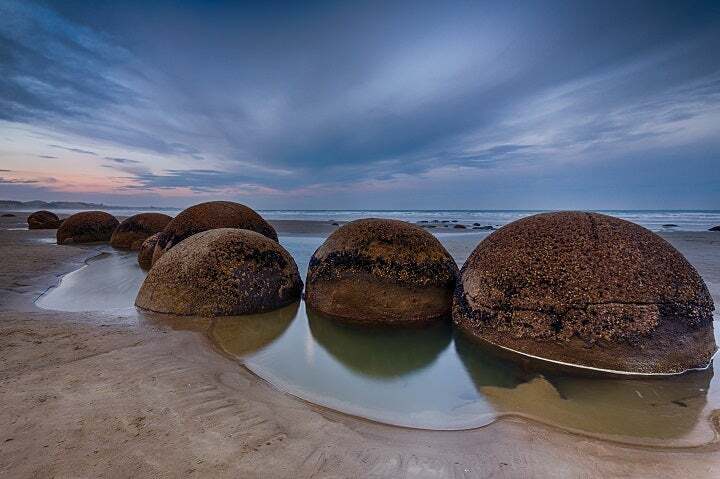 The Koekohe Beach in New Zealand features rocky spheres with an unusual shape and size that the wind and waves of the sea have been polishing for centuries. 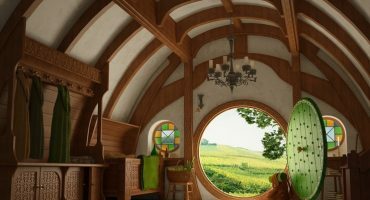 The final landscape that has been created is magical to say the least! It’s officially known as Big Major Cay and unofficially called the Pig Beach. 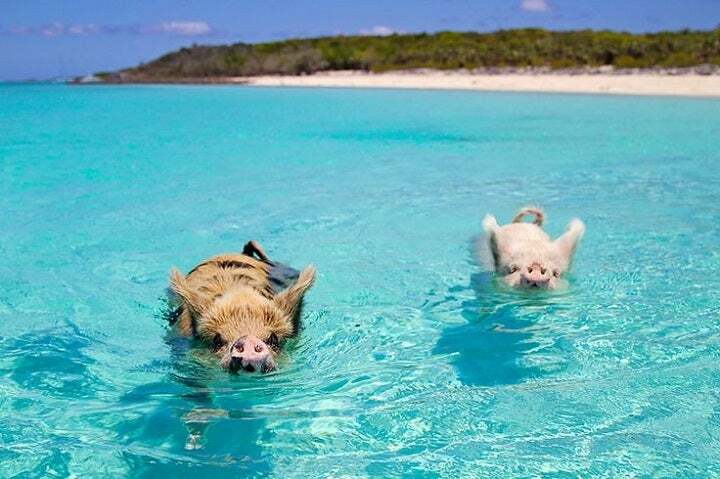 It’s located in Exuma – Bahamas – and as the name suggests you can actually swim with the pigs of this unhabitat island. 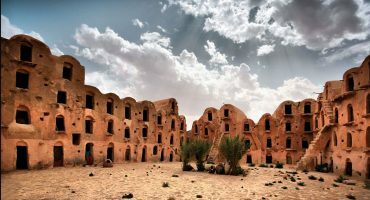 Their breed is unknown and the legend says that sailors dropped the pigs here with the intention to come back (and cook them) but that never happened and today they’re a popular tourist attraction. There are other beaches with surreal animals in case you’re interested! 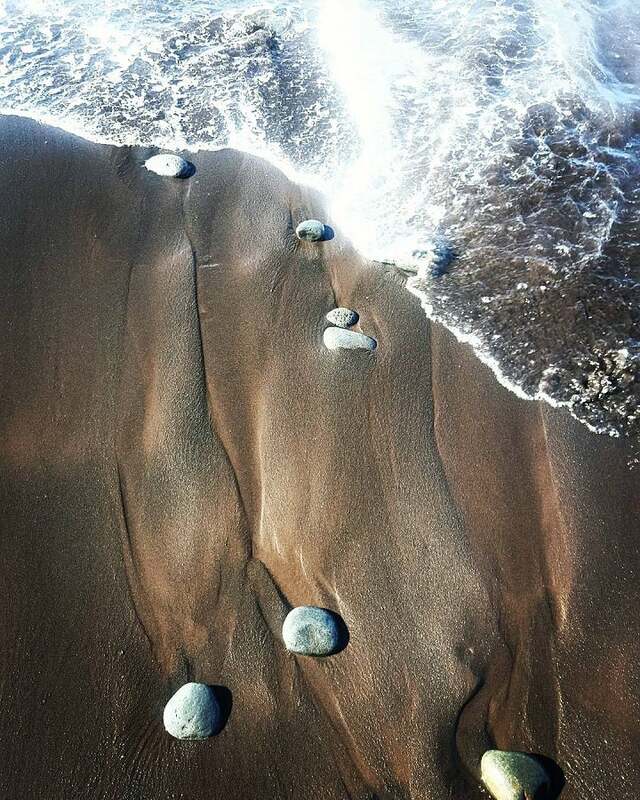 This beach is famous for its peculiar rocky formation which in reality are basalt columns caused by a volcanic eruption. It’s located on the north coast of Ireland and it’s a World Heritage UNESCO Site since 1986. 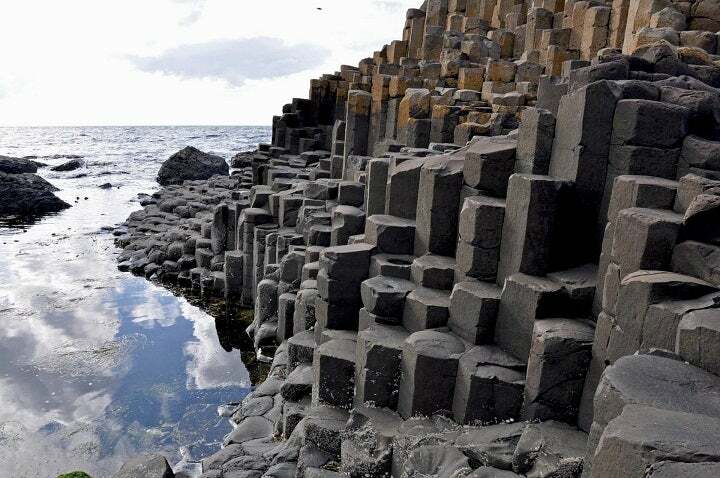 As for the origin of its name, the legend says a giant built a causeway and the rocks are the the only thing left of it. There aren’t many sand beaches in Madeira, the famous Portuguese island located in the middle of the Atlantic ocean. One of the exceptions is Praia Formosa, this beach has dark black sand due to its volcanic origin. 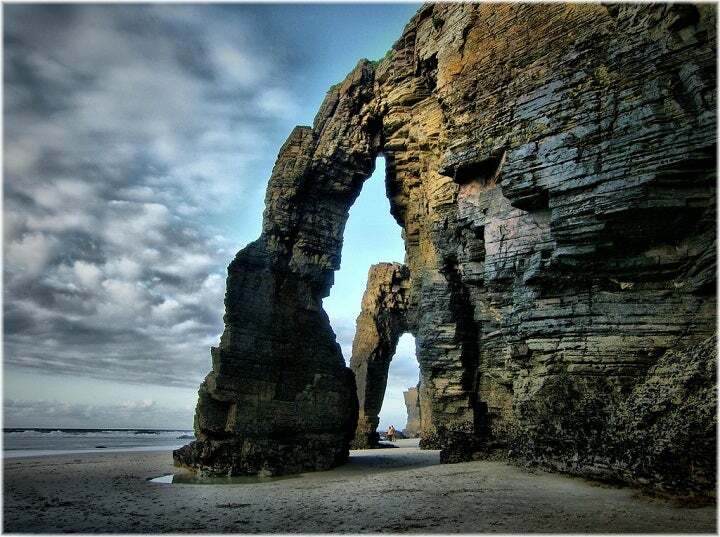 The incredible arches of this Galician beach in Spain are the reason for its name: the “Beach of Cathedrals” in english or “Playa de las Catedrales” in spanish. The powerful waves are responsible for this unique landscape that is well worth a visit (and plenty of photos) during the last hours of the day when the sun gets between the rocks. 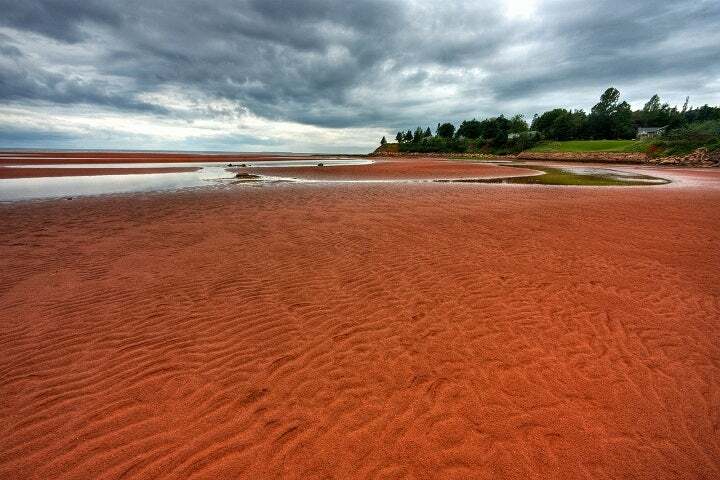 Some say it’s one of the most beautiful islands in the world… This part of Canada resembles the Mediterranean coast thanks to its 500 miles of sand and reddish tone rocks, which turn into purple flowers and roses when summertime comes around. 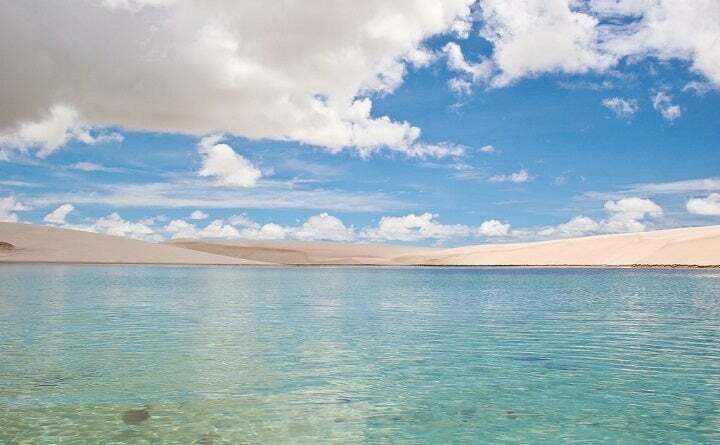 Each year the torrential raining season floods the desert dunes of the “Lençóis National Park” in Brazil, creating lagoons with a turquoise colour in the white sand valleys. This desert beaches are as beautiful as they’re unique, since they disappear in October when all the rain has evaporated. No, it’s not green grass. The green coloured sand of this beach comes from the olivine, which is formed when the lava comes in contact with the sea. 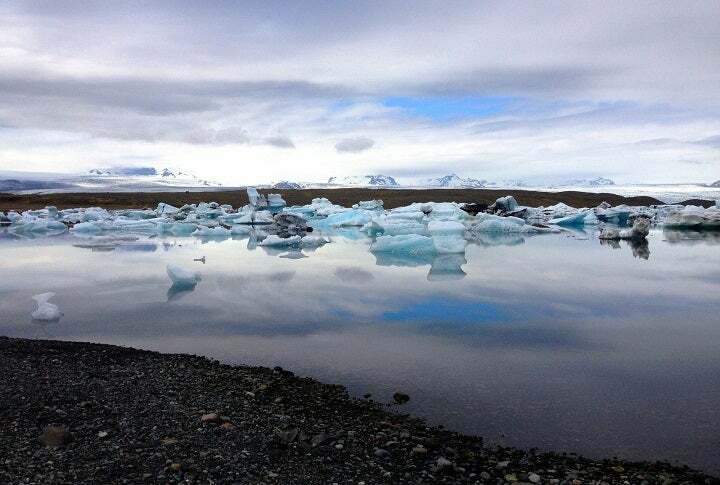 Jökulsárlón is the largest and most famous glacier lake in Iceland. The colours of the small icebergs which are visible from the shore can go from turquoise to deep blue, as well as yellow, black and white. 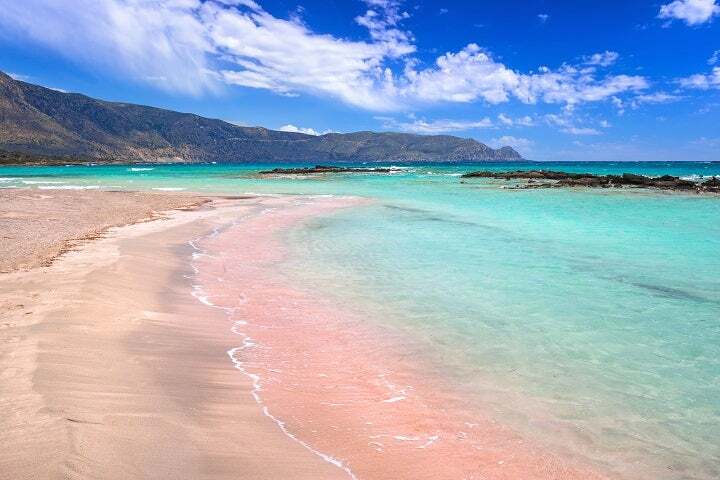 In this paradisiac corner of Greece the colour of the sand is normally white, but depending on the light it turns into pink. The Elafonissi beach is another perfect spot for beautiful (and unique) photos.